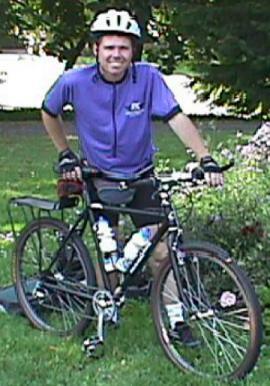 BICYCLE SPECIALTIES was started in 1991, by Matt Houle. The original focus of the company was painting. 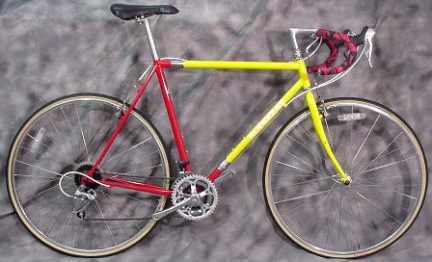 But since Matt was also, at the time, working as a frame builder, frame repair and custom stems were also offered. In 1995, we were asked to expand the business to include a full frame shop and build bikes for one of the most respected brands in the Northwest, RODRIGUEZ. Since then we have grown. We now build for RODRIGUEZ, as well as CLEAN SPEED (for Japan), and of course, our own, MICRO CITY. We also provide painting services for VISION RECUMBENTS and BANANA BOY BICYCLES, as well as any other builders or shops that need it. We build bikes the right way, with steel. Most of our bikes have a mixture of TIG welding and fillet brazing. But we can also build all one way, or with lugs. However you want it, we build it with a high attention to detail. We have built tons of tandems, both rigid and Softride. Bikes for tall captains with short stokers and short captains with tall stokers. "BTCs are the greatest thing since sliced bread! OK, so maybe they're not quite that good, but they are the single most innovative product to hit the bike industry since the derailluer. The unique features of the BTCs allow for many interesting uses. 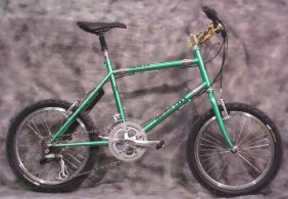 The most obvious is, of course, to build a bike that breaks into two pieces (or three pieces for a tandem) for travel. Less obvious, though no less interesting, is to add more BTCs and use smaller wheels. This gives you a bike that's as easy to pack as a foldable, without any of the problems of a foldable. Even less obvious, and more interesting, is a convertible. No, not the kind with a removable top. The kind that converts from a single to a tandem. Or even a triple! I don't think that we've discovered all the uses for BTCs yet, but I sure am having fun with them! So are my customers!" Products and services available utilizing BTCs. We sell frames and complete bicycles. We sell through retailers but will sell direct in areas where we aren't represented.